It is believed that wood with a moisture content of more than 18% is not suitable for using as a heating source in your stove or fireplace as the moisture affects the burning process and much of the energy it creates is wasted on heating the water vapour in the log rather than heating your home. 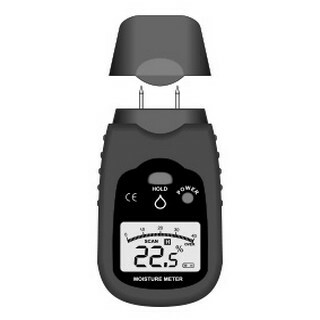 This Irish designed moisture meter from IQ Design is known as the Smartburn and it will accurately detect the moisture level of your fire wood and indeed any other combustible materials that you use to heat your home. This will mean that you can manage how you use your burning fuels more effectively and ultimately reap the full benefits of the materials that you use to heat your home. 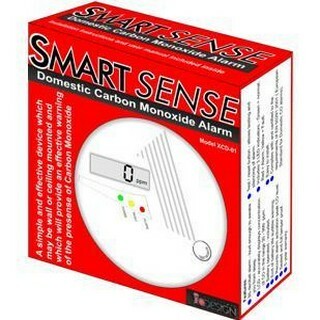 - Detects and measures the moisture level in wood and other burning fuels you use to heat your home. 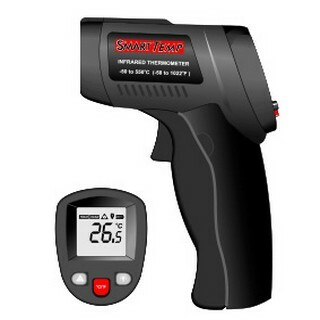 - Will measure moisture content from as low as 3% and as high a 40%. - Digital screen includes a build in microprocessed bar graph reading. - Includes an auto power off button and a low battery indicator. - Also includes a data hold button which always you to freeze the reading you have just taken. 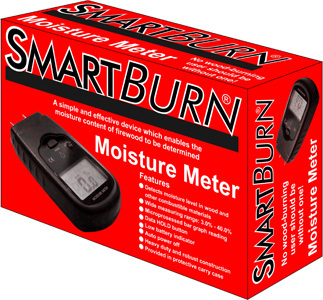 I very much like your product, the Smartburn moisture meter. I actually am recommending your product to my customers. I think it is important to point out to customers that they should never ever use wet firewood above 20 % moisture. It will soot up your chimney and stove/fireplace with creosote, It may/will damage a good stove and it will do a lot of harm to the environment. Also it will be a waste of good fuel, the amount of combustible fuel inside your wet log is used to drive of the water after which a tiny amount will be left to do your heating. Creosote produced inside a chimney or stove/fireplace is nothing different than non combusted fuel that can cause chimney fires. If it does not it will still be a pollutant. Best regards, Alfred Buis, The Stokehole Stone Stoves.